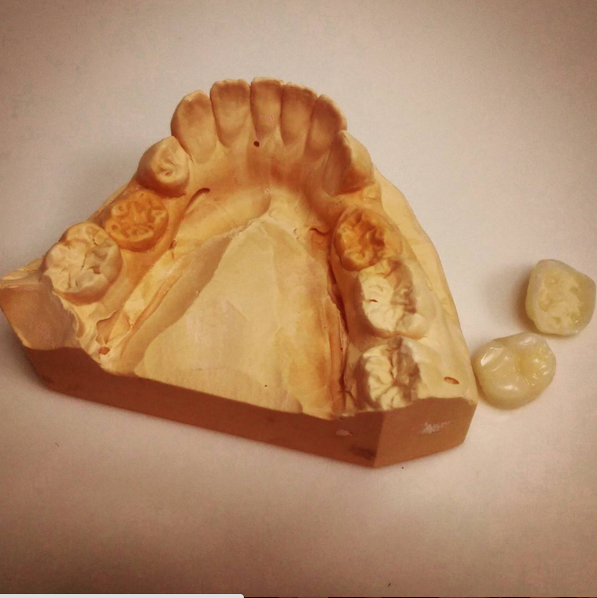 As part of my dental core training post, I spent 6 months working on our Restorative Dentistry department. But what did I learn...? If you refer to my previous post 'A Week in the Life of a Dental Core Trainee', you will know that I spent my weeks rotating around different areas of the department from consultant clinics to treating my own patients. Working with different clinicians has taught me so much and here I shall summarise the 10 key points I've taken from the rotation. No preparation means that teeth will have to Dahl in so this needs to be explained to patient, as well as the possible greying of the incisal edges of the abutment teeth. Read this article for more information on adhesive bridges. Working with a consultant who specialises in the management of tooth wear, I saw lots of patients with very worn teeth! From someone who ground through their Michigan splint every 3 months to a 16 year old with hardly any teeth left as a combined result of grinding and fizzy drink intake! It is important to stabilise wear before embarking on complicated restorative work in order to give the restorations the best chance of succeeding. As the restorative DCTs or SHOs, we got referred all the tricky denture patients. It wasn't necessarily always a tricky design that was the issue, it was mostly a challenging patient to manage - the one who has had 10 dentures made in the last 5 years and is not happy with any of them. In these patients, I learnt the important of bringing their expectations down to reality before you even embarked on treatment. A useful phrase a learnt was 'These are prosthetic teeth. Like a prosthetic arm or leg, they will look like the real thing, but in no way will they function like your teeth used to'. I used to like to compare dentures of lumps of plastic rather than fake teeth - this really emphasises to your patients the need to be realistic about what is achievable. They may never be able to chew a steak with cutting it into small pieces or it may take them weeks to be able to speak without feeling they have a lisp. Telling this to a patient after you've fitted the dentures does not bode well so make sure you explain everything before the first alginate! I treated a few patients with localised areas of hypoplastic enamel who were not happy with the appearance of their teeth. At university, I only learnt this technique theoretically so never offered it to patients in practice - instead opting to mask with composite or drill out the affected area. Microabrasion is a very safe and minimally invasive treatment option, especially in younger patients where you may feel more reluctant to remove healthy tooth tissue for aesthetics. I always was taught in dental school to use 10% Hydrochloric acid, but in fact normal etch (37% phosphoric acid), mixed with pumice/prophy paste is very effective. Microabrasion is good at removing yellow or brown mottling - white spots will need other interventions such as ICON, composite, whitening or tooth mousse. Remember there always need to be a diagnosis from a sleep clinic or GP - sleep apnoea is a serious condition that can be life threatening! Again, this was something at university that I only learnt about theoretically. Under supervision, I was able to construct a few of these - something that's not a quick fix! After impressions and facebow registration, you need to see the patient another 3 or 4 times after fit in order to adjust the occlusion. There needs to be even contacts in ICP, and a smooth contact in excursions (determine these with different coloured articulating paper). The aim of a Michigan (upper) or Tanner (lower) splint is to deprogramme the muscles of mastication into liking to clench together and can be useful when you are preplanning to reorganise occlusion in a full mouth rehab case. In the cases I did, it was purely to help with symptomatic TMD patients who ground through their soft BRAs! 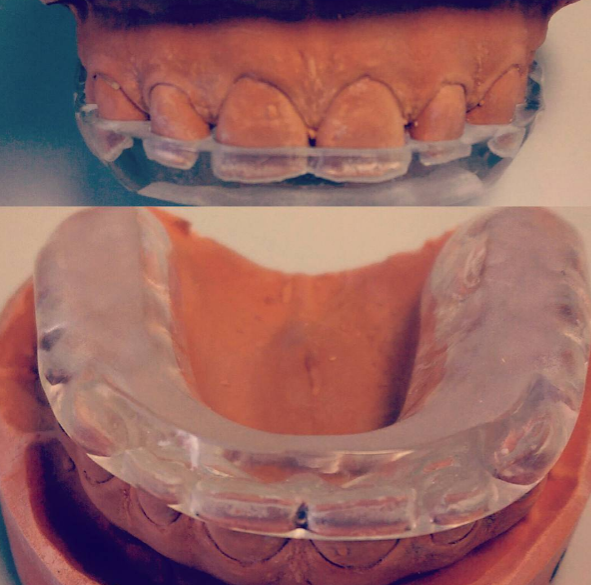 As well as conventional dentures, we had the opportunity to construct implant supported overdentures. These were mainly mandibular dentures supported by 2 implants in the canine regions. Initially, this was pretty scary, but after a couple I realised it was pretty much the same as convention full dentures, but easier as you didn't have to worry about the extensions so much as you had retention from the implant abutments. The only new bit was learning about the abutments (female in the denture, male the attachment to the implant). After seeing one split down the middle, I also learnt to tell patients not to bite the dentures into place! This results in a fracture in the weakest part of the denture; down the midline! 8. Is that tooth a useful tooth? As dentists, nowadays we want to save teeth no matter what. But what happens when a patient presents complaining of a loose maxillary denture with a single lone standing upper 7? Is that tooth worth saving? Actually, in the long term it is probably best to lose the tooth. But why? An upper denture is retained by a border seal you create with the extensions - this is interrupted if there is a tooth in the arch! If there is a couple of teeth you can strategically use for clasping (ideally on both sides of the arch) then great! But if you clasp a a single molar, all that will result in is rocking of the denture on one side! Conversely, a single mandibular tooth would be useful to retain rather than lose. Why? Because you can't create a border seal in the same way in the lower arch due to the tongue. Constructing a lower denture which is stable can be tricky (most dentists always under extend their dentures), so teeth, even if it's a single tooth, can help stabilise the denture and minimise rocking. How many times have a heard the phase 'If it's not right, blame your lab'. How unfair this statement is. What about the time you sent them a rubbish impression or your crown prep margin was not visible? I am lucky to have a lab on site at Guy's who would come up to see the patient in the chair if you requested (particularly useful when taking a shade). The labs were also very particular - if your impression was rubbish they wouldn't make anything on it! In practice I know this is different, but being able to pick up the phone and have a discussion with your technician is vital in providing the best for your patient. Are you someone who only calls the lab if there is something wrong or you want the lab work back a few days before their usual working times? Remember to call your technicians for POSITIVE feedback too, they really appreciate it and will learn how you like your work. I probably find CTS the hardest thing to diagnose and manage in dentistry. A patient is describing symtoms of a crack, but most of the time you can't see it and it seems a lot like guess work. You are often asking the patient to have faith in you diagnosing something you don't definitely know is there. Although I know many practices don't have orthodontic bands, they are a very useful diagnostic tool to have before you dive in and prepare a tooth for an onlay. They are not a long term solution, but reassure you that you have the correct diagnosis as well as the patient. Remember, the most important symptom in diagnosing CTS is PAIN ON RELEASE, not pain to percussion or palpation. Overall, I've learnt so much from the first 6 months at Guy's - keep an eye out from what I've learnt from my oral surgery rotation coming soon!